The concept of sola scriptura is one of profound simplicity, yet it is strong enough to ensure both the safety and survival of the apostolic faith throughout all generations. Without sola scriptura, doctrines and demons, pastors and lords are free to claim charismatic right to rule based on "spiritual" conformation. The absolute finality and authority of scripture gives protection to the weakest among us, a foundation for future generations, and surety to both our past and futures in eternity. This paper will discuss the doctrine of ‘Sola Scriptura’, its challenges, how it applies to the Apostolic faith, and the divergence of the Oneness Pentecostal movement from its adherence. In laymen terms sola scripture gives the final weight of judgment to the Bible. 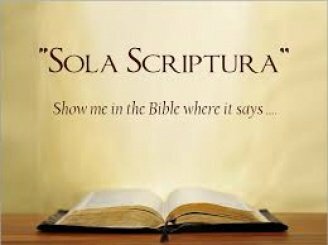 Sola scriptura asserts that the Bible is the authority on any matter or practice pertaining to scriptures. When the concept of sola scriptura is taken to an extreme, it allows no room for the Holy Spirit to impart words, wisdom, or faith to those who are the temple of that Spirit. There are those who have sought to claim that the Catholic church has authority over the Bible since the Catholic church initially assisted in its compilation. However, Luther addressed this false assumption in his own day by reminding Christendom that the Bible was not formed by the church, nor the church by the Bible; rather, the gospel of Jesus Christ formed them both (Gonzales 2014, 847). A God that cannot preserve his word is no god at all. It is for this reason that the debate about the authenticity of the Bible is challenged so thoroughly. A Bible without errors, over thousands of years of translation, lends itself to the greatest proof of the power and authority of Jesus Christ. The ancient Jews viewed scripture as sacred and therefore went to great lengths to preserve the Old Testament. The preservation of the Dead Sea scrolls are an example of just how much ancient Jews valued the Old Testament. In addition, the care that the Essenes and other Jewish sects in more recent history took to preserve the word of God is little more than astonishing (Shanks 1993, 1511). To believe in sola scriptura is to lend oneself to the belief that God has preserved His word throughout the ages. God takes His word, or what is known as scripture, very seriously. The failure of one single prophecy would be the undoing of Christianity making God a liar, thereby eliminating not only His work in the earth, but also eradicating the very concept of God. This is the reason why the Old Testament requires that false prophets be dealt swift and devastating punishment. One of the challenges of embracing sola scriptura is that it does not leave room for those who would like to be prophetic and sometimes miss the mark. The Old Testament concept of taking the Lord’s name in vain and the New Testament’s blasphemy of the Holy Ghost are parallel ideas. Both concern making false proclamations and taking unauthorized authority in the name of God, thereby corrupting His word and His name. When men prophecy falsely, their word is fallible; yet God's word, both written and ramah, never fails. For scripture to have full weight of authority, it must be constant, unwavering, and always proven correct (Brown 2007, 5781). For the concept of sola scriptura to work, the absolute infallibility of the bible must be a self-evident truth. Oneness Pentecostals differ from most other denominations in that we are a people of the Spirit with charismatic worship and demonstration. In an ideal setting, the Word and the Spirit always align in perfect harmony, but from time to time the spirit of an individual will wrest control and produce an utterance that is contrary to the Word. It is for this reason that apostolic believers must have security in the authority of the Word. God does not contradict Himself; man, however, often does. The modern Oneness Pentecostal movement is slowly turning away from the total authority of scripture in search of the supernatural moving of the Spirit and spiritual phenomena. The release of major forms of entertainment into the bloodstream of major Oneness organizations, the preoccupation with the supernatural in American society, and the desire for acceptance by modern Oneness Pentecostals have left many to question whether or not we have a complete bible and whether what we have is still authoritative. With this reasoning, individuals and churches will begin to lose anchor and will change course with each new wind of man’s doctrine that blows through. It is for this reason that men and women should educate themselves diligently in matters of the Word, for without faith and evidence that the Bible is the final judge and authority, there is no way to tell what is of God and what is of man. For example, the apostolic faith's tenants need little defending because they came without traditions of men, straight from the Bible. However, with the aging of the Oneness movement in America and the ability to have established traditions, there is a natural tendency to equate the traditions born out of temporary need, to that of salvific importance. General truth and "the truth" when not properly distinguished, will always lead to a weakening of the gospel’s impact. The concept of absolute scriptural authority hinges on our ability to verify that the Bible is intact, inerrant, and infallible. Without such verification, the authority of the Bible and the reality of Christianity as a whole descends into the ranks of paganism. This understanding reveals how integral it is to ensure that the bible is accurate both historically and spiritually. 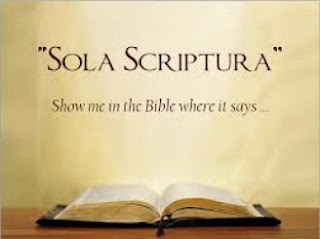 Sola scriptura: the bible has the final word; therefore, the issues of making sure that scripture is intact, maintains intended meaning, and ultimately protecting its integrity should be a high priority for believers. Brown, J. K., 2007, Scripture as Communication: Introducing Biblical Hermeneutics. Grand Rapids, MI: Baker Publishing Group. Shanks, H., 1993, Understanding the Dead Sea Scrolls. New York: Random House.